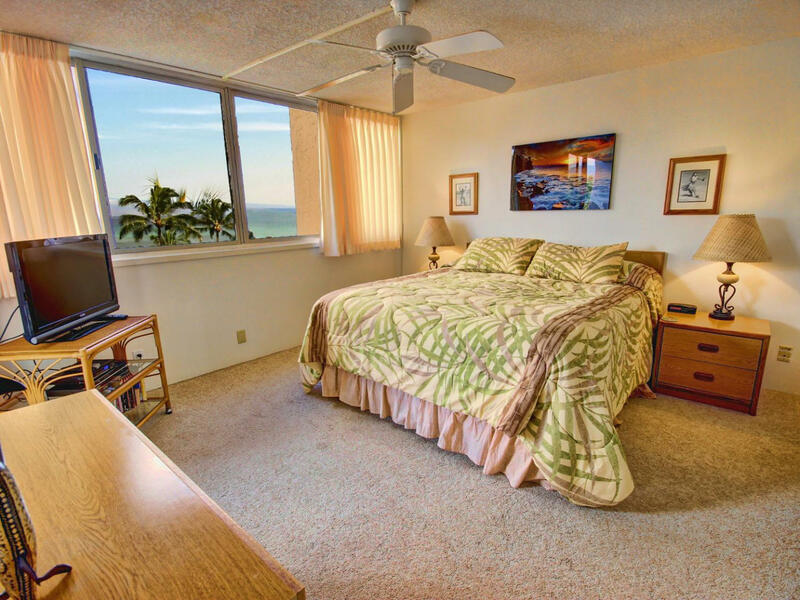 Our oceanfront condominium is situated at Kahana Bay and centrally located between the Kaanapali and Kapalua resorts, in the quiet community of Kahana. Its central location means that guests are within minutes of all of the activities that make Maui the #1 vacation destination in the world. 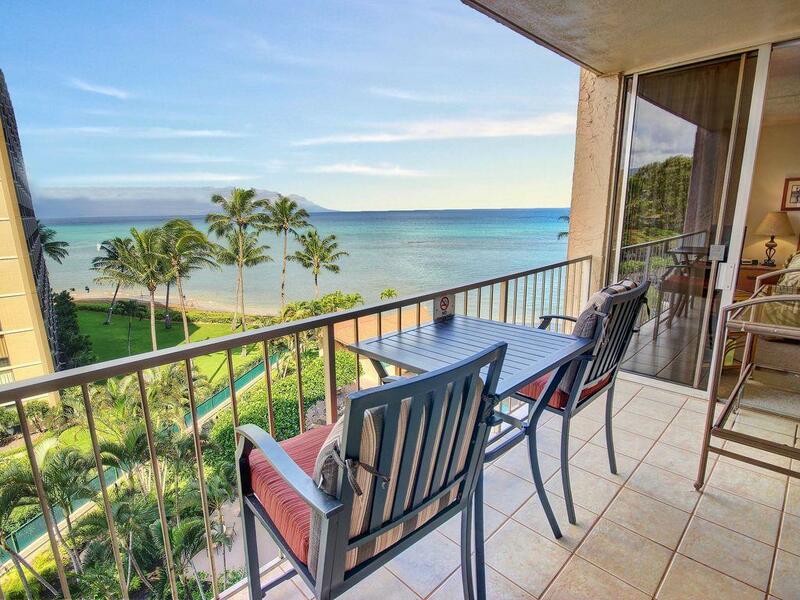 Breathtaking Ocean Views from your private lanai, living room and bedroom. Tastefully decorated with Hawaiian tropical décor. Free in home private high-speed wireless internet. Large flat screen TVs in the living room and bedroom. Sofa bed with comfortable mattress. Washer and dryer in the home for your convenience. Each home at the resort is individually owned and each has a unique style and flavor. We take great pride in ownership and share the aloha spirit with each guest. 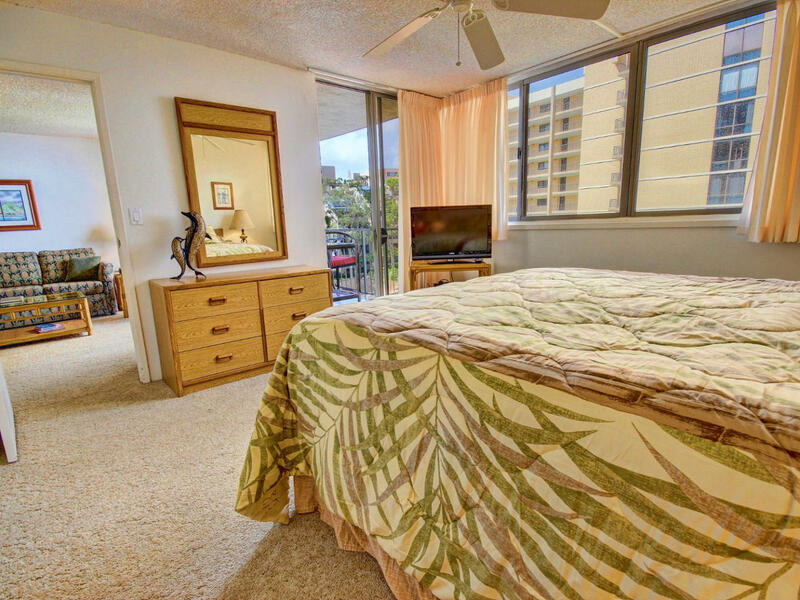 Our comfortable oceanfront property is spacious (with a 150-square-foot lanai). Each home has a king-sized bed and the Living Area has a queen-sized sleeper sofa. Central air conditioner and ceiling fans provide maximum comfort. There is a full kitchen, washer, dryer, cable TV, and FREE PRIVATE INTERNET ACCESS. Free parking is available in either the resort main parking lot or its underground parking garage. Local telephone calls from inside the unit are FREE. With our lanai overlooking the beautiful Pacific Ocean and islands of Lanai and Molokai, it is the picture-perfect place for your morning coffee! The Royal Kahana has a large oceanfront swimming pool, oceanfront BBQ area, complete on-site fitness room, ping pong table, and, and an onsite Aloha Activities Center/Concierge. Across the street is Kahana Gateway Plaza, a small shopping mall with several great restaurants such as the Maui Brewing Co., Hawaiian Village Coffee (one of my favorite coffee shops), Maui Dive Shop, a Whaler's convenience store, a McDonalds, and several other shops. Lahaina, Kaanapali, and Kapalua are minutes away, as are many world-class beaches (D T Fleming beach is just north and has been voted one of the best beaches in the world). Championship golf at both the Kapalua Golf Course (home of the annual SBS PGA Tour Championship) and the Royal Kaanapali Golf Club (home of the annual PGA Senior Skins Game) are just minutes away. Note: If our availability calendar does not show openings during your time frame, or if you need additional condominium space for friends or family, please check our website. Whatever your pleasure, you can be assured that your stay at our Royal Kahana suite will be absolutely satisfying. The beach fronting the Royal Kahana experiences seasonal ocean current changes that influence the beach’s physical appearance and size. During the fall and winter, it is not uncommon that these currents sweep away a very large amount of sand, which will gradually return back in spring and summer, based on the ocean's current activity. Our homeowners Assoc., The County of Maui, and the State of Hawaii are working diligently to return Kahana Bay to its full potential. This circumstance, unfortunately, affects the accessibility of our valued guests to the beach. While there may not be, at times, direct access from the property to the beach during the fall and winter season, there is a public beach access within 5 minutes walking distance. Our guests' safety is of the utmost concern for us. We apologize for the inconvenience and thank you for your understanding. You can stay updated on our ocean front access by viewing our web page, rkmaui(dot)com, and checking the postings on the homepage. We update the postings as soon as we receive new information from the resort. This property is professionally managed and adhere to CuddlyNest safety standards. Dan and I have been married for over 34 years. We were raised in Southeast Alaska and moved to the State of Washington a few years ago. We love Alaska but we wanted to be closer to our now adult children (crazy right? ), and we wanted to experience the opportunities available to us on the mainland. You see, we lived on that small island in Alaska for almost 50 years, the only way on and off was by boat or plane. I grew up traveling to Hawaii on family vacations. My parents purchased their first home at the Royal Kahana in 1978 shortly after the resort was built. It was love at first sight (both Hawaii and the Royal Kahana), and we now own multiple homes there. In 2013, we decided that we wanted to handle the rental of our homes ourselves. Up until that point we had a management company represent us. We had clients calling is wanting to rent one of our specific homes and through the management company they could not choose a specific home. That was one of the many reasons that we elected to go out on our own. We are so happy we did. Several of our friends, fellow home-owners have joined our program. Their homes are exceptional. Lorna, Wendie and Mike, Tom and Linda, Ronnie and Fred, Norm and Colleen, Heidi, Kris and Larry and of course, my parents, Jim and Vicki all take pride in their homes. You will feel their love for the Island when you visit. Dan and I love this new adventure, meeting new friends and working with our return guests year after year. We thank you for this opportunity to share our love of the Royal Kahana Resort.